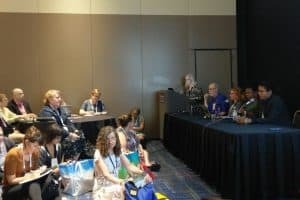 Indisputably relevant to our current times, the Saturday session “Fake News or Free Speech: Is There a Right to be Misinformed?” found itself bursting at the seams at the 2018 ALA Annual Conference in New Orleans. Mary Minow of Harvard University opened the panel by asking what our legal choices are when it comes to responding to “fake news.” She discussed US libel laws in contrast to free speech protections. Court decisions protecting free speech continue to expand and strengthen, including a recent Supreme Court decision that some interpret as establishing a “right to lie” outside of a commercial context. Essentially, the government does not get to decide what is true or not true. Libel laws stand as the only counterpoint to free speech. To be considered libel, the offending speech must be published, untrue, harmful to your reputation, and in the case of public figures, also created with malice or reckless disregard for the truth. Creators and publishers of content can be sued for libel, but not distributors, e.g. a social media platform. Libel lawsuits are difficult to win, and the burden of proof is on the plaintiff. Damaso Reyes, director of partnerships at The News Literacy Project, built on Minow’s presentation by suggesting that we cannot sue ourselves out of the problem. Reyes reminded us of the days when, if you wanted to watch the news, you had to turn on your television at a particular time. If something called itself “news,” we could count on it being created by journalists and reviewed by an editor. The speed at which we are being bombarded with stories claiming to be news has created a world in which a person who is unable to differentiate between true and untrue stories is functionally illiterate. This means that media literacy is as vital as it ever was. The News Literacy Project produces a weekly newsletter called “The Sift” and offers a news literacy curriculum at checkology.org. 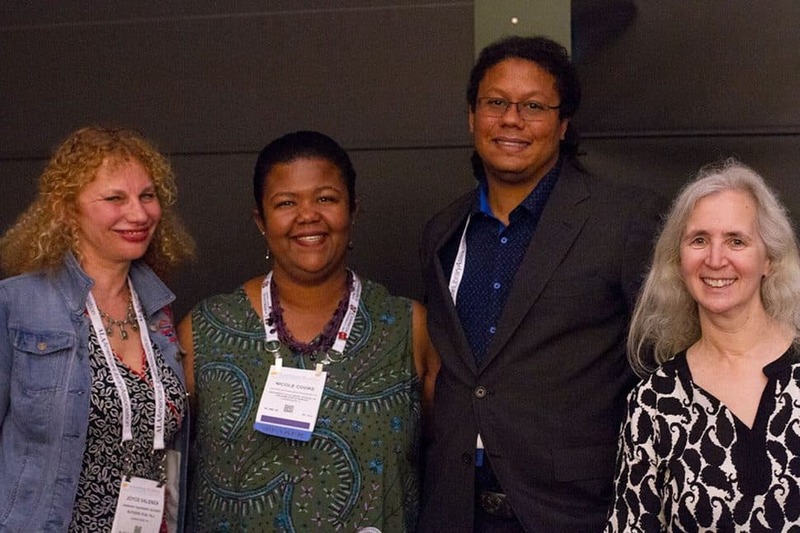 Nicole Cooke, assistant professor and MS/LIS program director at University of Illinois at Urbana-Champaign, encouraged us to remember that everything we have always known about evaluating information still applies. The issue of “fake news,” and even the term, first appeared in the 1930s. It is not new and it is not going away. What is new is that we now have thousands of news sources coming to us through our social media feeds. We constantly encounter information that produces high levels of emotion, which can be a barrier to critical thinking and evaluating the reliability of the information we receive. Cooke reminded us that there will always be false information parading as fact. Our teaching needs to focus on how to think, instead of what to think. 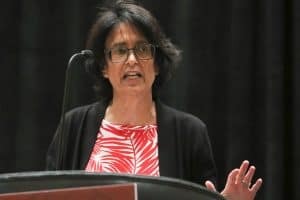 Joyce Valenza, assistant teaching professor of Library and Information Science at Rutgers University, concluded the panel with a discussion of negotiating nuance. 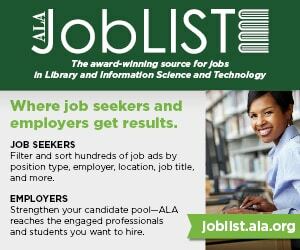 The prevalence of false information being spread quickly through social media creates an opportunity for librarians to lead. 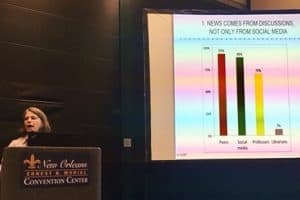 Valenza sited a Pew study showing that a majority of people crave unbiased news. Several companies have attempted to create processes and algorithms for sorting reliable from unreliable sources, but this discernment is not easily automated. 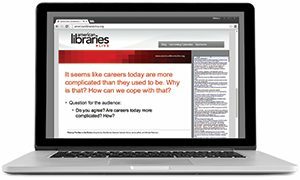 Librarians, as professionals highly trained in evaluating information resources, can step up and fill this need. Valenza exhorted us to begin thinking about how we can curate resources for credibility and discovery. She insisted that under current conditions, there will be no prizes for predicting rain, only for building arks.